They have a great minimalist look that doesn't lack style. 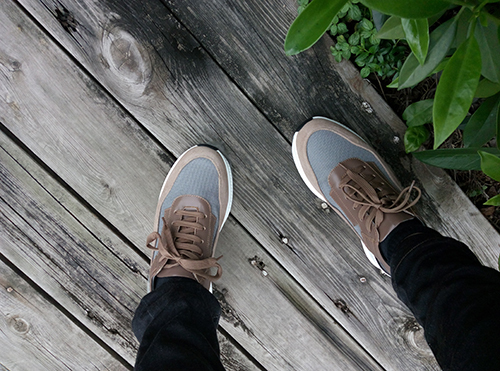 The brown leather cage gives a good contrast to the all brown nylon lace. The nylon has subtle detailing that doesn't appear too techy. Discrete branding on the heel tab. You could even pull these off on jeans day in the office. These shoes are well worth the price point. Even better free shipping and warranty. Just got my pair of chamaripa casual shoes. Such a tasteful shoe that I’ve already received many compliments on. You can immediately tell that a lot of thought is put into the structure and support, while not compromising style. If you are looking great all around shoes - buy these. You won't be disappointed. The true pinnacle of height increasing shoes in the market, I can’t wait to sport these shoes all over (and cop another pair soon). Not only great looks but they are also super-comfy on my feet. I not to forget mentioning the grip that its gives. Just awesome overall ratings. Thanks Chamaripa. I’m extremely picky with my shoes when it comes to LOOK, STYLE AND PERFORMANCE. Initially, I was attracted to the design/fact of this being an athletic sneaker look but with height. Additionally, the comfort level is incredible. I would recommend these to anyone/will be purchasing another pair eventually. 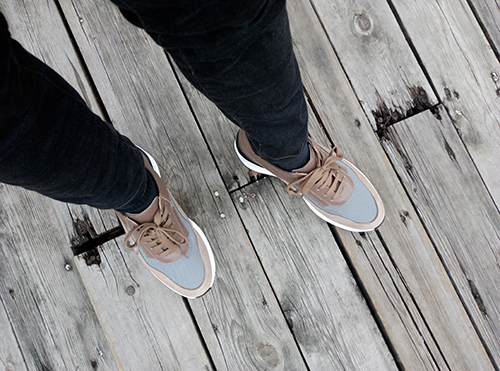 I've only worn these elevated shoes for a few outdoor activities too, but so far I'm impressed with the "surround sound" feel of the shoe as well as the lightness and sense of touch. I'm used to more barefoot-style workout shoes and these give me a similar feel with a bit more support that I've been missing, especially when my height is a concern. I've also gotten quite a few compliments on the look of these shoes. This shoe is slick looking and super comfortable. Love the leather detail contrasted with the mesh-like material. I have only worn them once and already received several compliments. Now eyeing the next version too! I would give it 5 stars and look forward to buy more styles from same brand. I love this shoe!!! I bought a shoe cleaning kit just to keep it beautiful. and I've never cleaned my shoes before! I am a chamaripa addict, I got rid of all of my other old fashioned elevator shoes and made room for my 5 new styles! and their customer service is THE BEST! Thank you for being an outstanding company with an outstanding product. customer for life here! I was a little worried about buying elevator shoes but so far these appear quite durable and comfortable and didn't cause any backpain as I have read online. 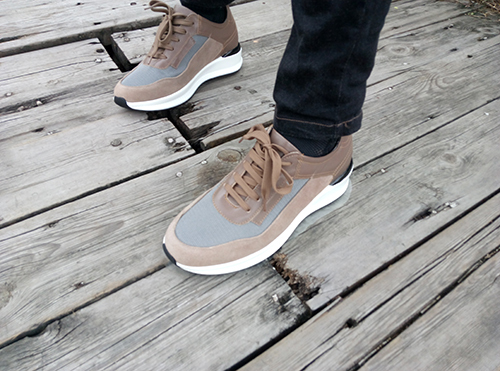 Love the style, I have multiple pairs of shoes from Chamaripa now so decided to leave review this time.. I’m on my feet all day and these have been perfect support and style. Thank you! !